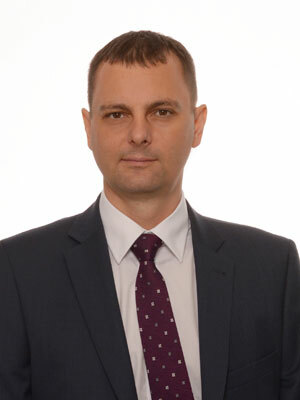 Piotr Stączek, advocate, is the founder and principal of this Law Office. In 2003 he passed the barrister examination. He specializes in litigation in the field of civil and business law. He also represents clients in family law, inheritance law and labor law cases and practices as defense counsel in criminal proceedings. He represents both individual and corporate clients. For many years he has been dealing with matters related to Polish citizenship. Piotr Stączek graduated from the Faculty of Law and Administration, Wrocław University, and from the Université de Strasbourg, where he obtained the Diplôme d'Étude Supérieure Spécialisée en Politique Publique en Europe (DESS). He initially worked with the international law firm Gide Loyrette Nouel, where he was responsible for legal services to firms with French capital. He also worked as an advisor to companies in the building, chemical, and services sectors. He served his legal internship as an advocate trainee under the guidance of Professor Eugeniusz Piontek, Doctor of Laws. He also attended many seminars and conferences (including a seminar on European law at the College d'Europe in Brugge). His interests include literature and international politics.